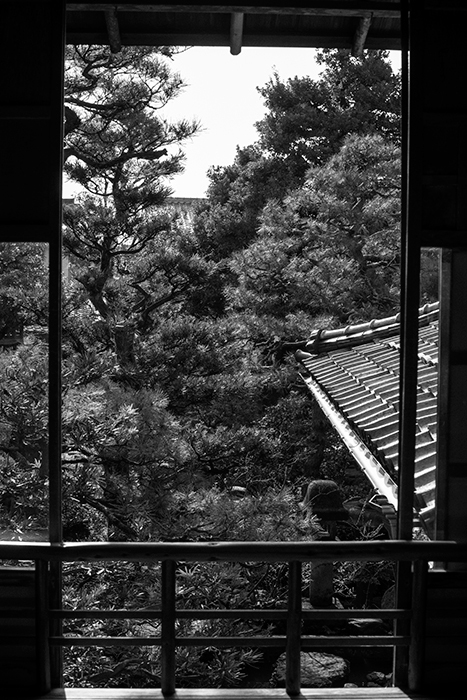 View of the garden from the tea room in the Nomura house. The last time I was here, it was a drizzly day, I was one of the very few visitors and I was able to sit and have matcha and gaze out over the garden. It was grand. Sadly, during this visit they were not serving tea and it was really busy. Quite a contrast.